December | 2010 | That Mall is sick and that Store is dead! YouTube – 1987-Tour of Zayre, Crystal Point Mall, and Jewel. Thank god people were dorks with their early camcorders and recorded everything they saw back in the 80s. Just two years short of its 100th birthday, the once staid and conservative Sears is showing the friskiness of a teen-ager who has won a date with Tiegs. In fact, some people would say that Sears has become downright sassy. 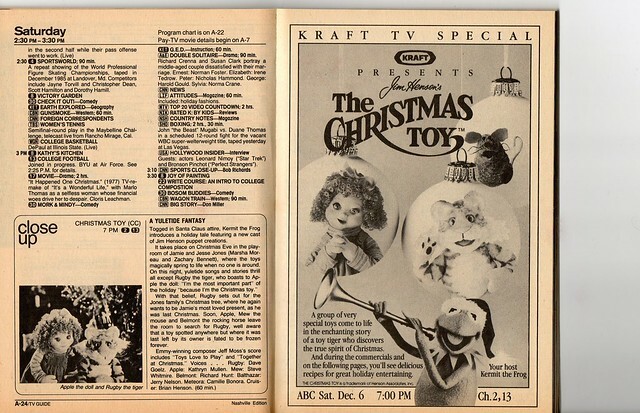 Ok, so ever since December of 2008 when I was studying for my finals junior year at Mary Baldwin, I’ve been fascinated by this string of Kraft commercials from 1986 (shown when Kraft sponsored the entire showing of “The Christmas Toy”) when I found them on a Beta Xmas.. 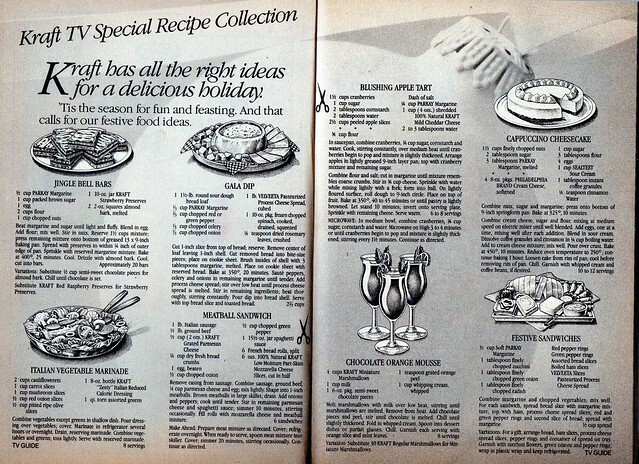 I can’t tell what fascinates me more, the narrator who says words like “zip” “cheese” “marinate” and “cheeziest.” Or, back in the 80s when it was ok to eat processed food, or the idealized 1980s Christmas parties, they always look 90,000 times better than a Christmas party in 2010 would look like. 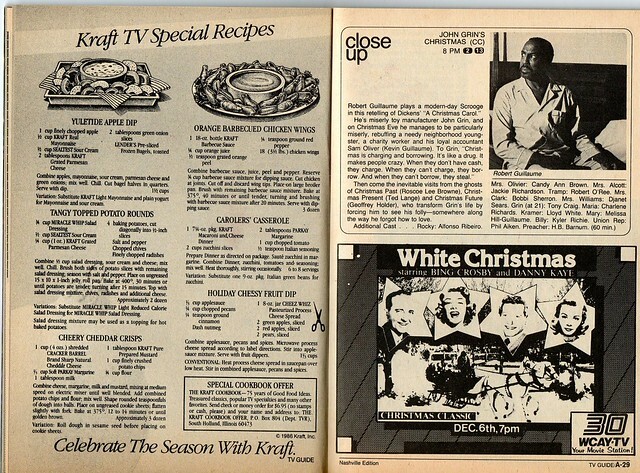 I’m so fascinated by these recipes,that were included in the December 6-12, 1986 (Delta Burke will be on the cover for you collectors) issue of TV Guide. Seriously. 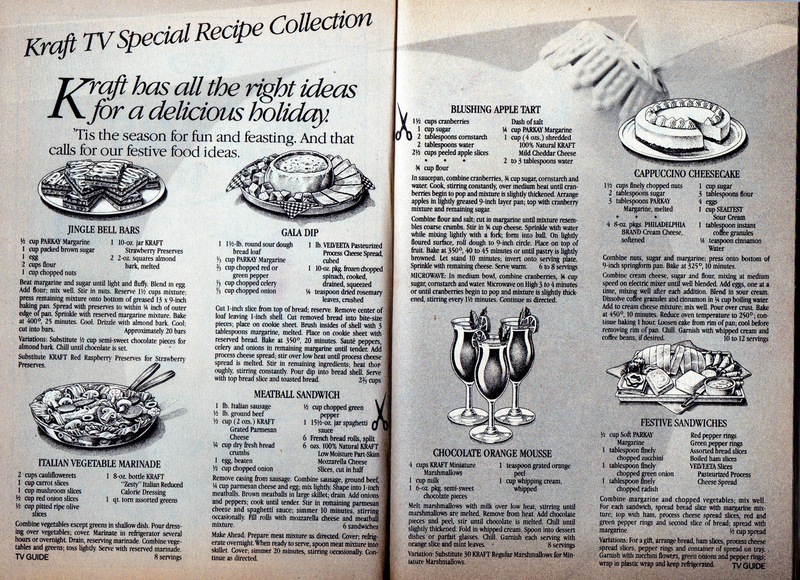 If I could find these recipes, I would make them all my first Christmas in my new place, if that ever happens (unemployment…). I’m absolutely shocked that they are nowhere to be found online. I wish libraries had TV Guide on Microfilm. I made the only recipe that didn’t seem to need an recipe in the commercials — the one for the cheesey apple dip. Yeah, that one, with the cheez wiz + applesauce. I made it tonight in the microwave (sans nuts) and cut some apples in it and ate it, it was dare to say pretty good. 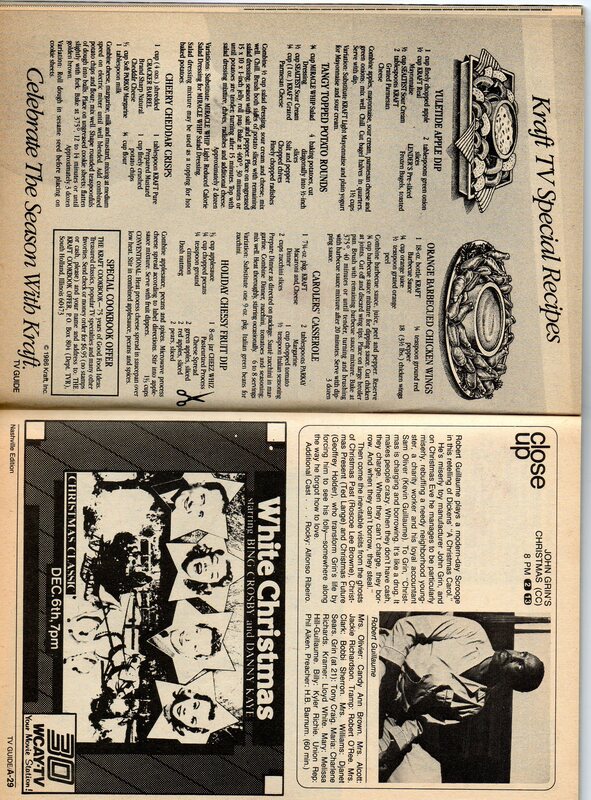 I have the TV Guide!! !